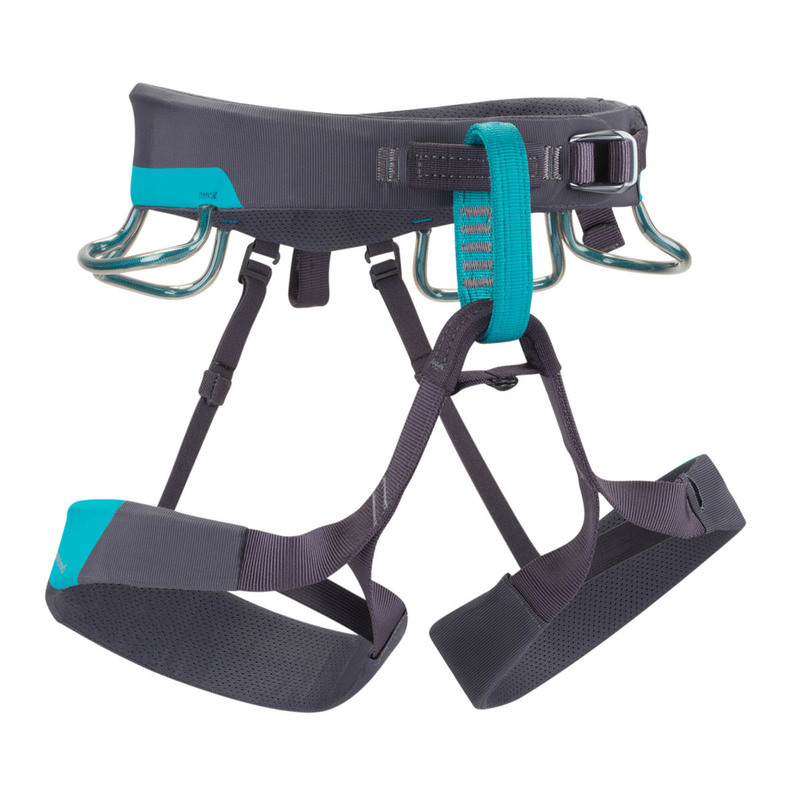 The Black Diamond Ethos Women’s Harness is the female-specific version of the Chaos – Black Diamond’s go-to big wall climbing and trad climbing harness. Designed for premium comfort and durability, the main features of the Black Diamond Ethos Women’s Climbing Harness are the innovative Kinetic Core Construction for comfort, 3D breathable mesh padding for more comfort and highly abrasion-resistant outer for durability. Seamless construction helps it pass the test of time, while four gear loops, including two larger gear loops for optimum racking, provide plenty of room for cams and slings. The women’s-specific waist-belt design and construction of the Ethos Harness makes it a solid choice for advanced trad or free climbers. MATERIALS Tri-laminate Vectram polymer with 3D mesh foam padding and abrasion-resistant synthetic outer. 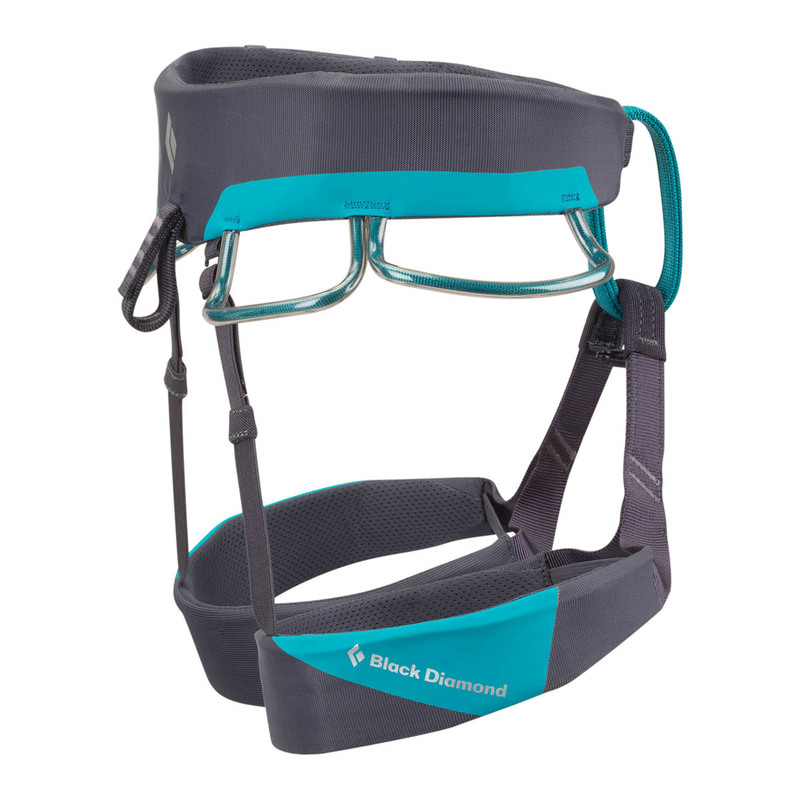 Representing the next step in climbing harness design, Black Diamond’s Kinetic Core Construction eliminates the need for strands of structural webbing by replacing it with tri-laminate Vectram polymer, which has unparalleled weight-distribution properties. 3D mesh padding provides superior comfort for climbing for long periods of time. Four gear loops, including two larger front gear loops, provide plenty of space for racking up cams and slings.